I was not keen on yet another post on the mess surrounding the Commonwealth Games. There has been saturation coverage over the past one week, with Parliament getting disturbed everyday and the issue being debated for two days. However, there has been some data that has come out during the discussions and otherwise and also statements made by a few biggies, which needed a response, at least to set the record straight. Except a few, all the stadiums to be used for the Commonwealth Games are old ones that have merely been renovated. But just look at the costs. The Jawaharlal Nehru Stadium, which was built for the Asiad in 1982, has been renovated at, hold your breath, Rs 1,000 crore. Compare that with what has been spent on renovating the much larger Eden Garden cricket stadium in Kolkata - Rs 60 crore. I can understand there is a new hi-tech roof that has been put over the spectator area in the renovated Nehru stadium. But whatever might have gone into the new stadium, how on earth can one explain a thousand crore on a single stadium's renovation? Large industries can be set up for that amount. And that is not all. Stadium after stadium seems to have incurred renovation costs that would make anyone's jaw drop, especially when compared with what is being incurred on other, non- Commonwealth Games-related stadium renovation. Indira Gandhi Indoor Stadium, once again a legacy of the 1982 Asiad, has been renovated at a whopping Rs 650 crore plus. The Dhyan Chand Stadium, where hockey matches would be held, was actually renovated for the Hockey World Cup held earlier this year. Renovation of this relatively smaller stadium cost Rs 262 crore. I have already written about the shoddy workmanship in this stadium as was witnessed during the world cup. Compare this with the renovation costs of arenas not linked with the games. The Wankhede cricket stadium in Mumbai is being rebuilt from scratch, virtually, for the Cricket World Cup in 2011 at Rs 250 crore. While I don’t hold the candle for the Ferozeshah Kotla, which is as pathetic now as it was in its old avatar, I still can’t figure out how any stadium could cost a thousand crore, irrespective of what it has. What are we getting for the cost? Leaking roofs, shoddy finish, already crumbling concrete, faulty drainage, inferior seats, inadequate lighting that needs to be changed to allow for HD (high-definition) telecast and so on. How the taxpayer is being milked in the name of the games is repulsive. What should have cost X is costing 10X and what should last years will last a fraction and the urban development minister still has the audacity to say these stadiums will leave behind a rich legacy! 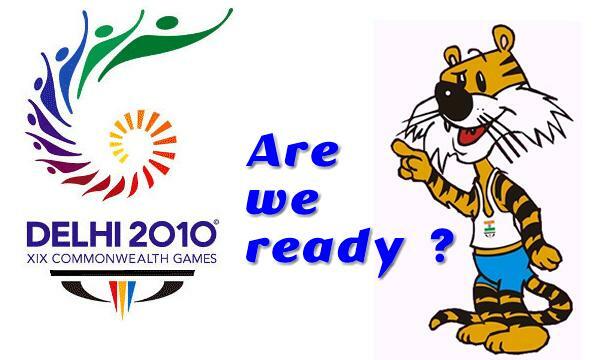 And now, when a united opposition and a relentless media attack the organising committee or the state government and its agencies or the central government and the agencies involved, the sports minister as well as the Delhi chief minister calls the critics unpatriotic, and then appeals that we must forget it all to ensure a "spectacular" Commonwealth Games for the "prestige of the nation". To most of us, Samuel Johnson’s famous pronouncement in 1775 that "Patriotism is the last refuge of a scoundrel" was just a quote. It no longer is.